Mary Moss is a co-founder and partner of the firm. She has directed the firm’s consulting relationship with the UNC Medical Foundation, UNC School of Social Work, UNC School of Education, UNC Graduate School, UNC Law School, UNC Institute for the Arts & Humanities, UNC Rams Club, SECU Family House at UNC Hospitals, Catholic Charities, Healing Transitions, YMCA of the Triangle (and Camps Sea Gull and Seafarer), Habitat of Orange County, Habitat of Wake County, Autism Society of North Carolina, Boys & Girls Clubs of Wake County, Catholic Diocese of Raleigh, Duke Memorial Methodist Church, Christ Church, Saint Saviors’ Center, St. Paul’s Episcopal Church (Cary), Meals on Wheels (Wake County), Judea Reform Congregation, Temple Beth Or, Global Scholars Academy, Carolina Friends School, Duke School, Durham Academy, NC Early Childhood Foundation, and Foundation of Hope, among others. She has led successful executive searches and overseen transition plans at the United Way of the Greater Triangle, Habitat of Wake County, Ronald McDonald House of Durham, Alliance Medical Ministry, Habitat of Orange County, Communities in Schools of North Carolina, Communities in Schools of Durham, and many more. Development assessments, feasibility studies, volunteer trainings, and board retreats are also recognized specialties. Her nonprofit fundraising career began in 1981 as Duke University’s first full-time telethon director. Later, she advanced to assistant director of annual giving, assistant director of planned giving, and director of major projects for Duke’s Comprehensive Cancer Center. Her fundraising career spanned more than two decades at three prominent Research Triangle schools where she was known as one of North Carolina’s leading independent school fundraisers. She stepped down in 2008 as associate head for institutional advancement at Saint Mary’s School, her high school alma mater, with responsibility for development, alumnae relations, and admissions. Prior to that, she was director of development at Ravenscroft for 11 years and at Durham Academy for nearly five years. 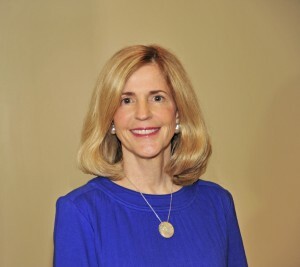 During her seven years at Saint Mary’s School, Mary developed annual development action plans that resulted in gifts of over $21.5 million, including back-to-back $1 million Annual Fund totals. Her department received nine national and regional Council for the Advancement and Support of Education (CASE) awards in fundraising and communications. She helped coordinate the strategic planning process, and she coordinated two critical school strategic positioning studies, twice retooling all admission and communication materials as well as the web site. During her seven-year tenure, school enrollment increased 28%. At Ravenscroft, the development program raised over $20 million, including two capital campaigns for facilities and endowment as well as Annual Fund, restricted funds, and auction donations, and the school was recognized with two national CASE awards. Mary is an active community volunteer. She served a six-year tenure on the Board of Trustees of Ravenscroft School, where she co-chaired the Advancement Committee and still chairs a special board committee. She is Immediate Past President of the Rotary Club of Raleigh, and she is a member of the Raleigh Fine Arts Society, having chaired the Grants Committee. She has also served on the Board of Directors of the New Voices Foundation. Mary has been a volunteer consultant with numerous schools and nonprofits including the Junior League of Raleigh, Hayes Barton United Methodist Church, and other organizations. She has spoken at many AFP, CASE/NAIS and CASE District III conferences on fundraising, admissions, and strategic positioning and planning, receiving the highest ratings each time as a speaker. She is a graduate of the University of North Carolina at Chapel Hill with a bachelor of arts in political science. She is also a graduate of the Institute of Paralegal Training in Philadelphia as well as the Leadership Raleigh program. She is married with three grown sons, one granddaughter, and she enjoys spending time with her family, traveling, and enjoying the North Carolina beaches.